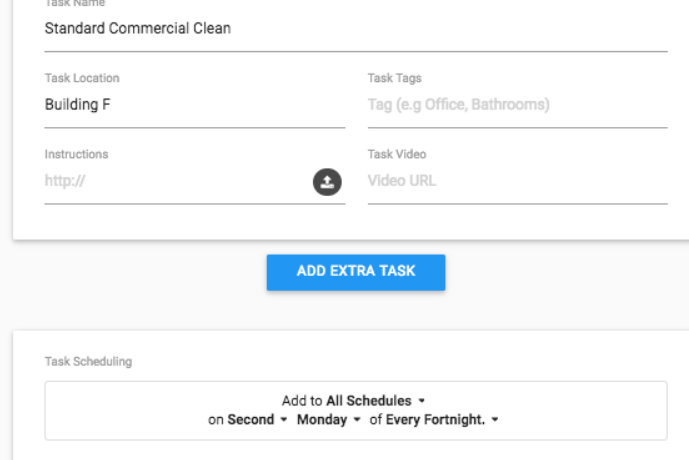 How do I create Fortnightly Tasks? Particularly around instructing staff to clean different areas or building on a daily rotation across a fortnight. Of course on many sites we may have periodicals or different areas that get serviced on a Fortnightly Basis. So to instruct your team correctly with Fortnightly Scheduling we need to set specific scheduling as per the image below. 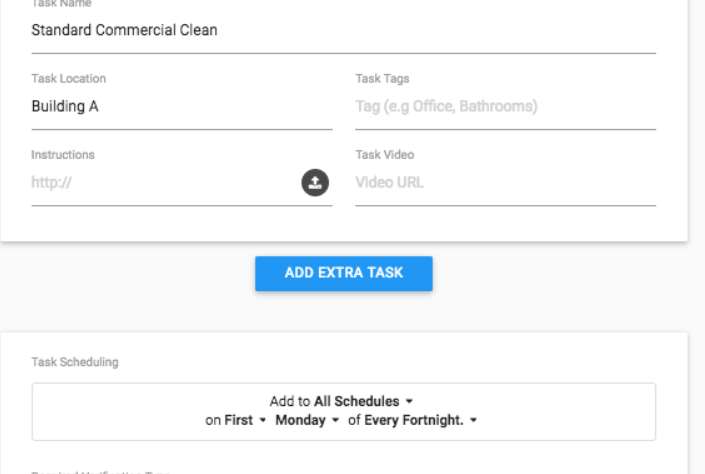 With this scheduling, the Standard Commercial Clean will be added to you Visits only on the next upcoming Monday, and then a fortnight later. If you service sites, where you have different Tasks or Location serviced on a Fortnightly style rotation, then this will provide that frequency. The Scheduling of Building F which is scheduled for the 2nd Monday of each Fortnight is done using the 2nd Monday of Every Fortnight.